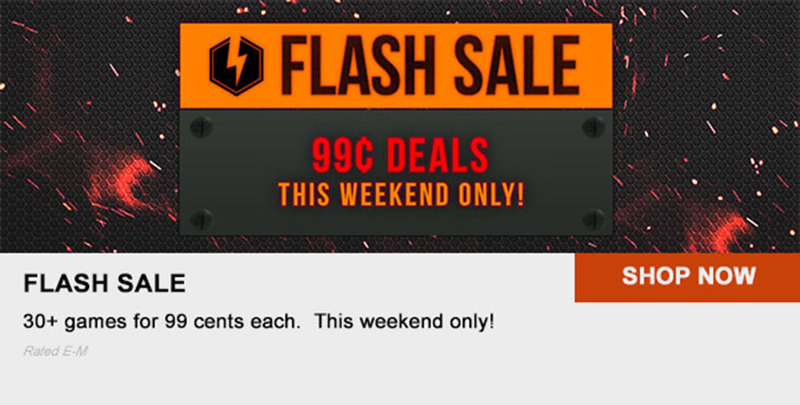 The Playstation Store is having a flash sale this weekend with 30+ games on sale for $0.99 a piece. Some of the games include Retro City Rampage, Braid, Plants vs. Zombies, Telltale's Jurassic Park and Monkey Island bundles. The games on sale are mostly for PS3 and a few are for PSP and Vita.